Every woman wishes to have smooth and beautiful feet without spending so much money to go to the beauty salon to remove the hard skin and calluses on their feet. I believe most of suffer from hard skin especially to girls who are always wearing heels to work, events etc. 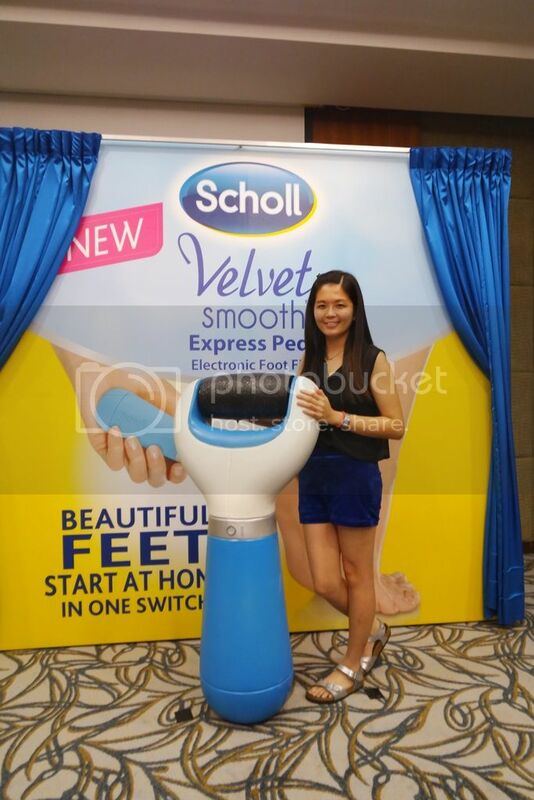 A few weeks ago, I was invited to attend this Scholl My Velvet Smooth Express Pedi Launch with a bunch of bloggers. An average person spends at least 2 to 4 hours on their feet, taking anything between 8000 and 10 000 steps. 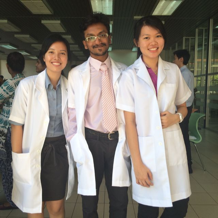 Yet, foot care is one beauty area that is often overlooked. Problems can occur when we neglect our feet such as hard skin and calluses. This is all the more prevalent if we often walk in high-heeled or ill-fitting shoes too frequent. 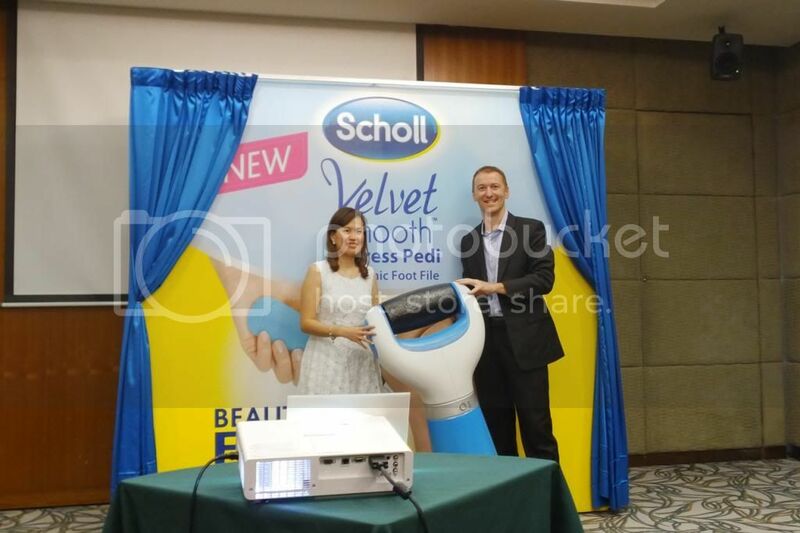 As the leading foot care expert, Scholl today introduced its latest innovation to keep hard skin at bay - Scholl Velvet Smooth Express Pedi. 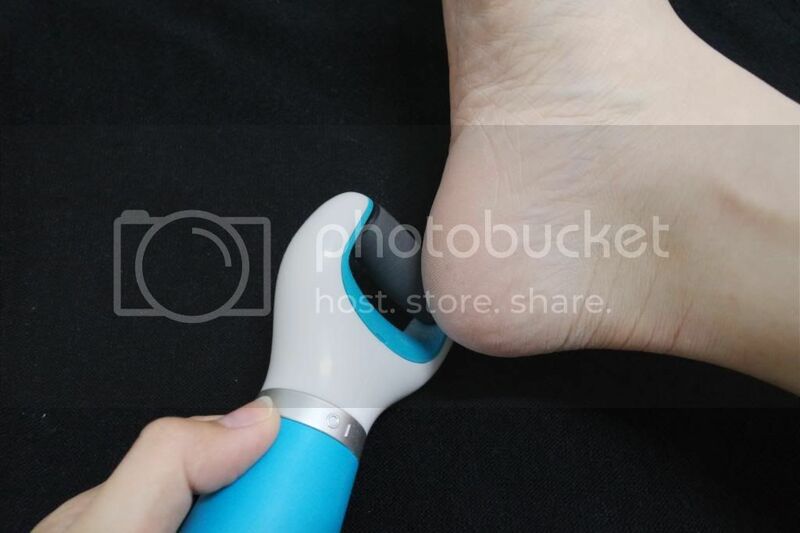 Scholl Velvet Smooth Express Pedi is a simple yet handy electronic foot file is designed for ease of use, so one can achieve beautiful and velvety smooth feet effortlessly and instantly in the comfort of their homes. 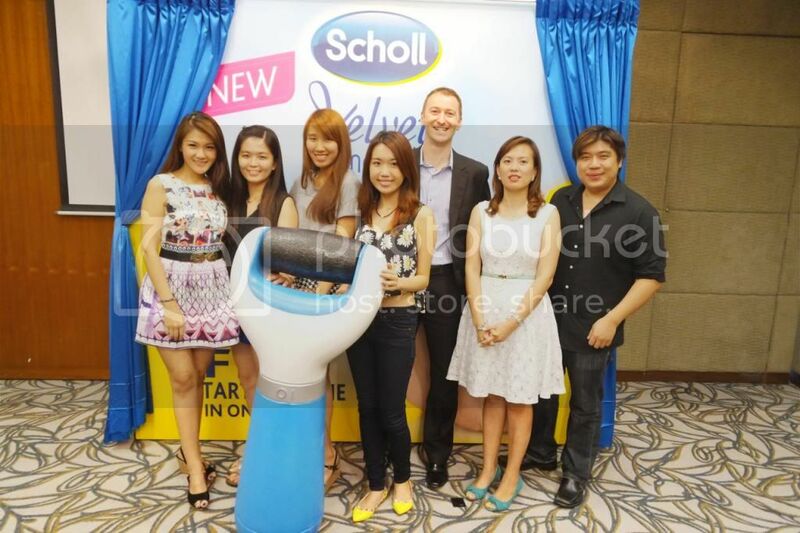 Group photo with the Scholl team. 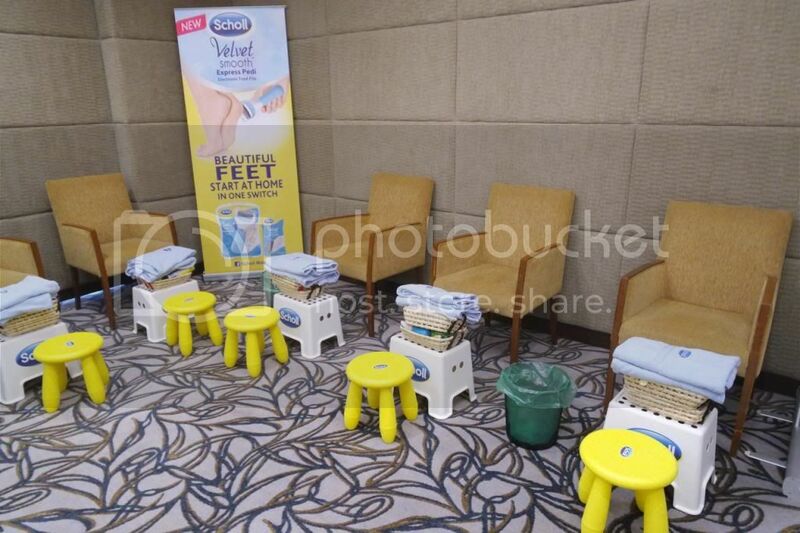 Media and bloggers were given the chance to try on their foot pampering session that night with the new Scholl Velvet Smooth Express Pedi. It was a little ticklish when you have the electronic foot file placed on the sole. However, the hard skin formed on the side of the feet did not make me feel ticklish after all. I could see the amazing result within minutes with the help of the Scholl Velvet Smooth Express Pedi. 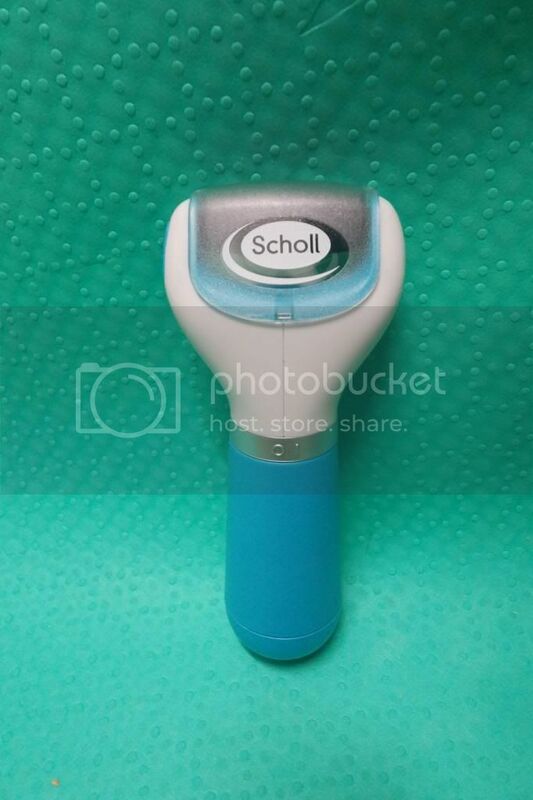 Scholl Velvet Smooth Express Pedi which is an electronic foot file that spins at high speed to gently buff away rough, hard skin at the feet, giving you the salon-smoothness you desire in just moments. Tried the electronic foot file and turned out it was ok and not that ticklish as I thought. *hehe* The hard skin on the heels were removed and I can feel the instant smoothness of my heels instantly. 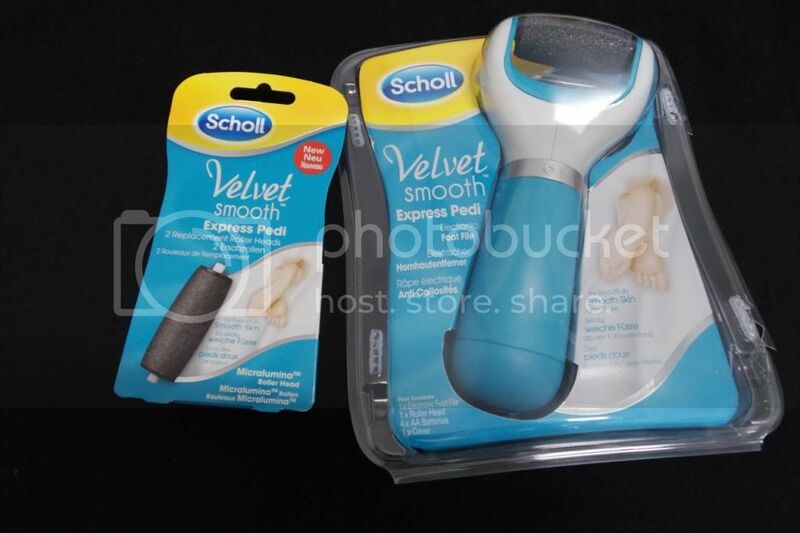 Other than that, Scholl Malaysia was so kind to give us the Scholl Velvet Smooth Express Pedi to bring home to try along with the roller head refill packs. Remember to remove the protective roller cover before use. 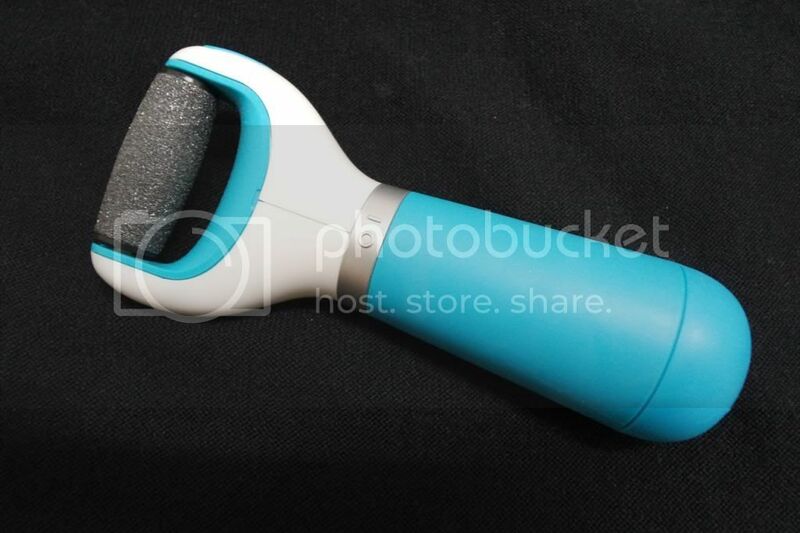 Ergonomically shaped with a soft-touch handle, the Scholl Velvet Smooth Express Pedi comes with a fast rotating Micralumina™ roller head that removes dry hard skin effortlessly while gently exfoliating the feet. I like how the electronic foot file fits into my hand perfectly. Ensure that the roller head is securely inserted into the unit. Please do not use without the roller head attached. A blue button for you to detach the Micralumina roller head. Within a single use, one can achieve results similar or even better than professional foot spa sessions. 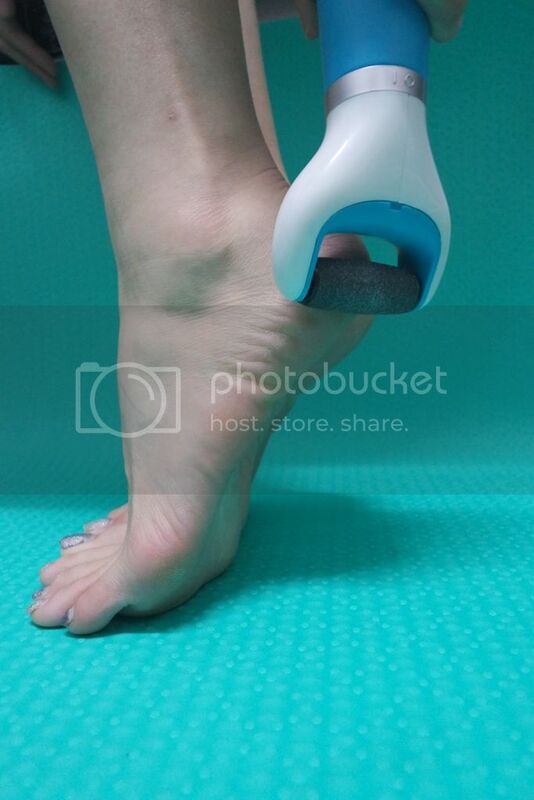 In addition, after every use, the roller head can be easily removed to wash or replace, offering a cost-effective solution for beautifully soft feet. 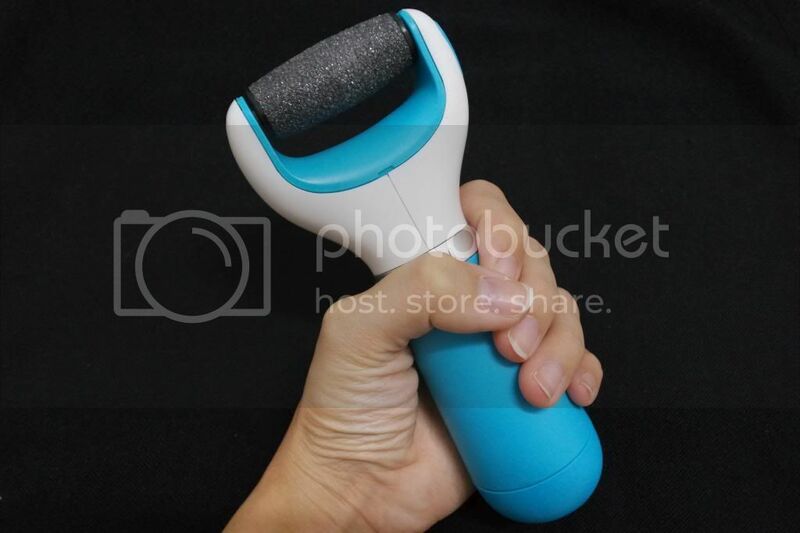 Turn on the unit by twisting the silver ring to the left and gently glide the roller head over hard skin and the dead skin will gradually exfoliate. 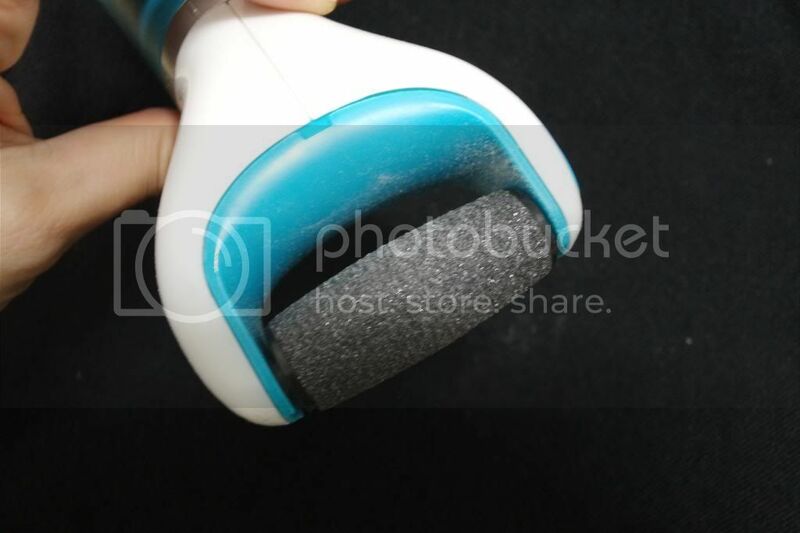 You can always remove the Micralumina roller head and wipe the electronic foot file before keeping it back. Use only on dry skin. Press gently onto skin or else the foot file will stop. 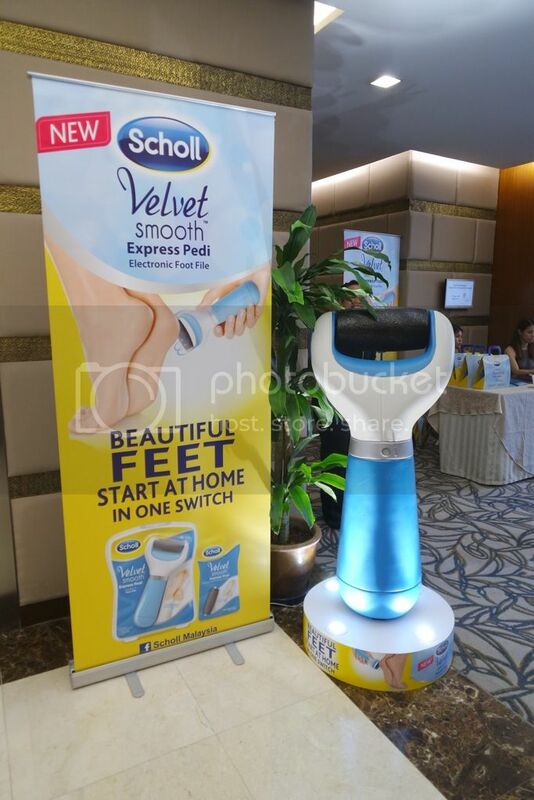 Members of the public who wish to experience the new Scholl Velvet Smooth Express Pedi can head to One Utama Shopping Centre (Concourse, Old Wing) from 6-10 August 2014 from 10.30am to 9.30pm. See you guys there! :D For more info, check out their website: www.velvetsmooth.com.my. There will be a nationwide promotion of RM10 discount starting from 1st August 2014.